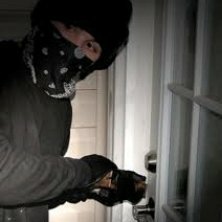 Our intruder alarm systems are designed for your safety and security. In today's world of break-ins and wilful damage, our systems act as a deterrent to potential criminals and a warning that a crime has been committed. Warnings can be in the form of an alarm only; trigger a signal to a monitoring station who will then contact listed key holders; or notification to the police which will result in their call out to the premises concerned. This gives you the peace of mind that not only are our systems and installations of the highest quality, but that our understanding of your needs is equally important to us. We give you the added feeling of security by offering full service and maintenance contracts on all of our installations. Contact us and discover all we have to offer. Our qualified staff look forward to serving you! There is no news at this time.